The traditional housing cluster of Tripotamos traditional village, in Tinos Island, is known for its extraordinary architecture characterized by a labyrinthine housing tissue. It was precisely that architecture we saw as a challenge: how to restore the ruins of the buildings we had acquired, in order to become a countryside boutique hotel offering a comfortable stay within the island’s heartland, instead of designing and constructing new buildings on an empty parcel of land. An empty parcel of land would have made it easy for us: the current building regulations, regarding Aegean architecture do little or nothing to protect it. As a result, they neither showcase Aegean architecture nor help the builder to retain the sense of the old and traditional. Such is not the case where the village of Tripotamos is concerned: classified as a traditional settlement, Tripotamos is under the protection of building regulations, which are so strict as to be rigid. Although an obstacle for us throughout our building project, those regulations, governing traditional settlements and standing guard over Tripotamos traditional village, proved of great service to us: for one thing, we actually felt relief that the new buildings we were introducing into the sensitive and noble environment of Tinos’ vistas had to undergo such strict monitoring (in contrast to the regulations governing ordinary building activities). 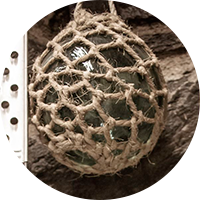 We gladly embraced them but, most importantly, at the same time that we complied with the specifications on traditional settlements, we were guided into deciding the kind and quality of services we would offer you in our boutique hotel. 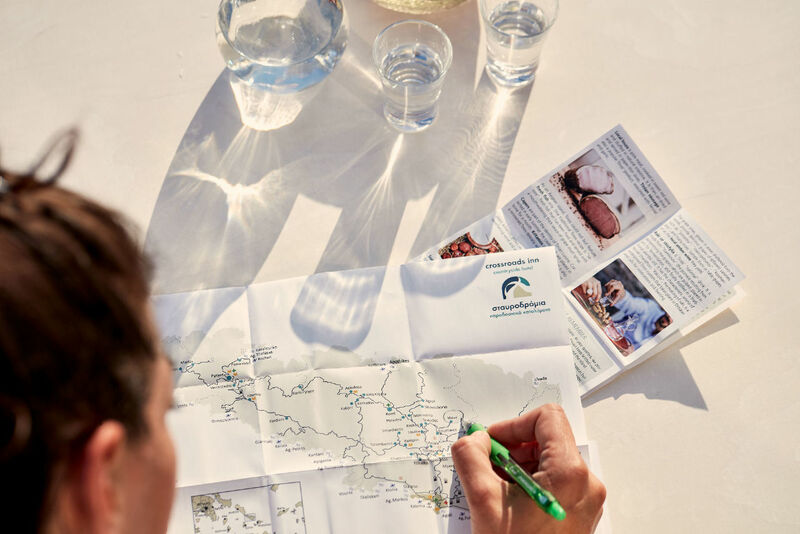 Our way of thinking relied heavily on the fact that we had to act on three fronts: we had to think about and respect the village, its inhabitants, and the visitors who wish to share and experience life in the traditional Cycladic village of Tripotamos, Tinos Island. As a result, our countryside boutique hotel Crossroads Inn developed along the lines of sensitivity, and adapting its philosophy to suit the land’s aesthetics, to maintain that land’s traditions and customs, to help reinforce the human resources found locally, to protect the environment, and to ensure that our guests at the hotel were well taken care of. All buildings constructed at our hotel are built with respect to the surrounding environment and create as well as beautify small neighborhoods within the village. The flat solar panels, we’ve outfitted your accommodation quarters with provide hot water at major energy savings. The ceiling fans we decided to use instead of air conditioning in your living and sleeping quarters provide the cooling you need. In their task, the ceiling fans are assisted by the small northern openings which help in airing the accommodations naturally. The under floor heating system, we’ve installed in your accommodation, ensures conditions of comfortable warmth during the wintertime while it discreetly serves in preserving the architectural aesthetics of our traditional countryside hotel. The special building materials we used for wall plastering and painting, flooring, and constructing have proven resilient to time and easy to upkeep. Tsantilis S.A., our supplier company, is well known for choosing its raw materials for their eco-friendliness. 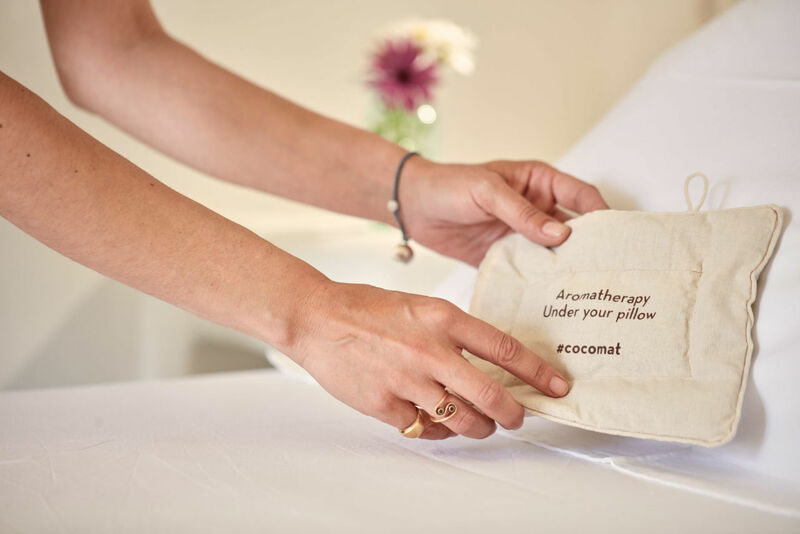 The sole goal of the printed instructions addressing our guests on the matter of managing the towels and linens we provide them with is to promote water and energy conservation. As part of our philosophy, we decided against having a pool at the Crossroads Inn so that we may contribute to the conservation of Tinos’ precious water resources. 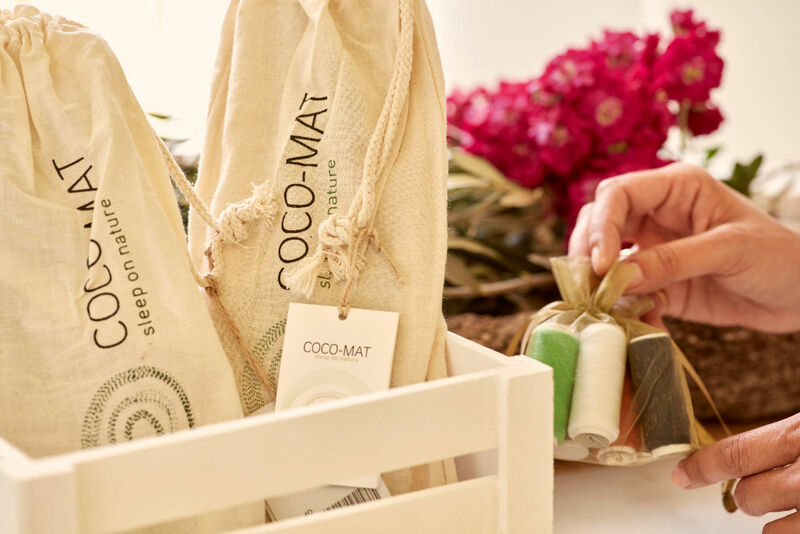 The mattresses, pillows, linen, towels, beach towels and bathrobes you will find at your quarters have all been purchased from the COCO-MAT Company, as a tribute to that company’s quality, social profile, and eco-friendliness. At our hotel, we take care of our linens using the very same laundry products we use at our own homes. We make sure that they look and smell as fresh as those we remember from our childhood by taking care of them the old-fashioned way: we hang them out in the clean air to dry and then iron them one by one. Our shampoo, conditioner, foam bath and body butter, the toiletries we provide you with, during your accommodation, are all made by our pharmacist Erotokritos Kalogeropoulos, who uses only all-natural ingredients in his magic "concoctions" such as honey, herbs, and flowers that only Greek Mother Nature knows how to make. Our soaps are handmade by Georgia Zilou, who inspired by her love for natural herbals and flowers and decided, two years ago, to fulfill her dream in Tinos by openning her own small soap shop, Ena Karo. All of them are handcrafted soaps, 100% organic, all natural, uniquely created and scented only with essential oils, with no preservatives and synthetic perfumes added; always, carefully selected for you. 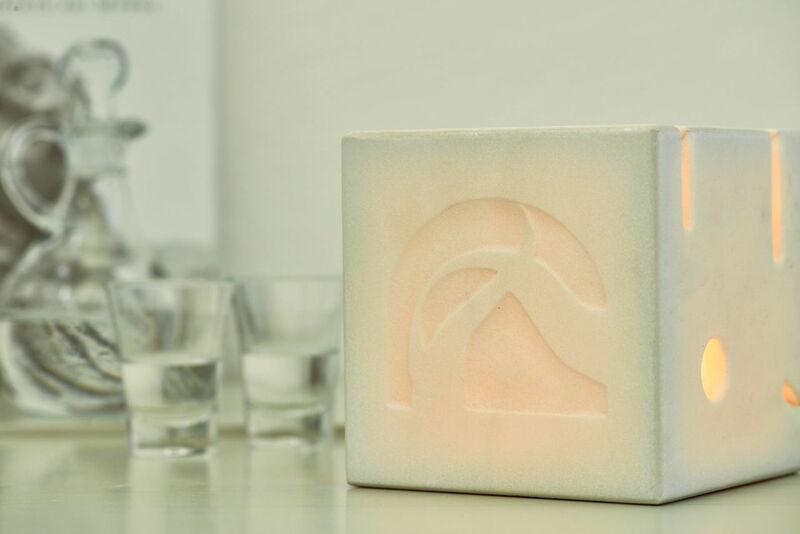 Our slippers and all-natural bath sponges are testimony to our focus on offering our guests at our Crossroads Inn the very same products we’d bring into our own homes and everyday life. We have decorated your accommodation quarters with original works of art such as engravings, paintings, and sculptures. Our goal in doing so was to express our respect towards our guests. 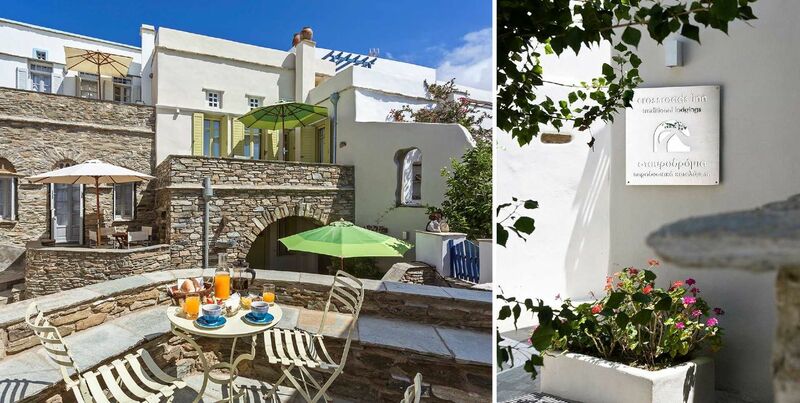 At Crossroads Inn, our wish is to share with you the background of those works of art, and to promote the works’ artists who either come from Tinos or studied at the "School of Fine Arts Annex" in Panormos, Tinos Island. 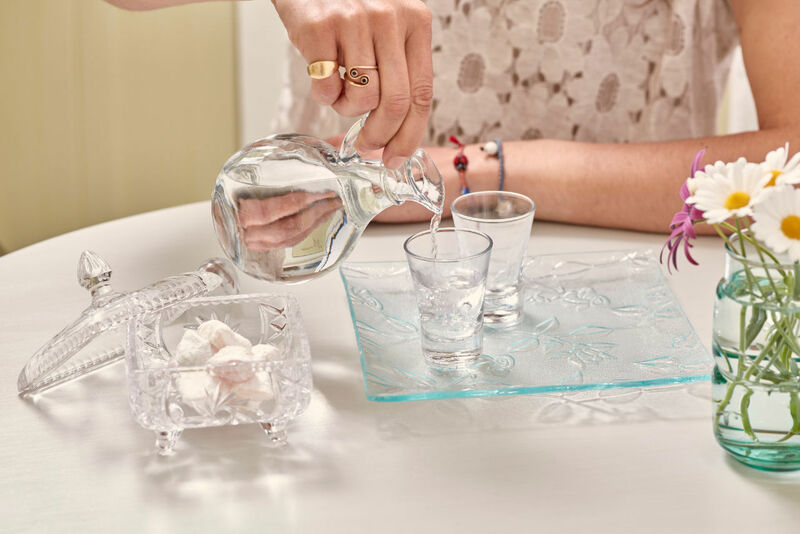 When you arrive at your accommodation you will find a tray holding authentic Tripotamos raki and locally made sweets: it’s our welcome to you. Our traditional Cycladic breakfast comprises local products from local producers. 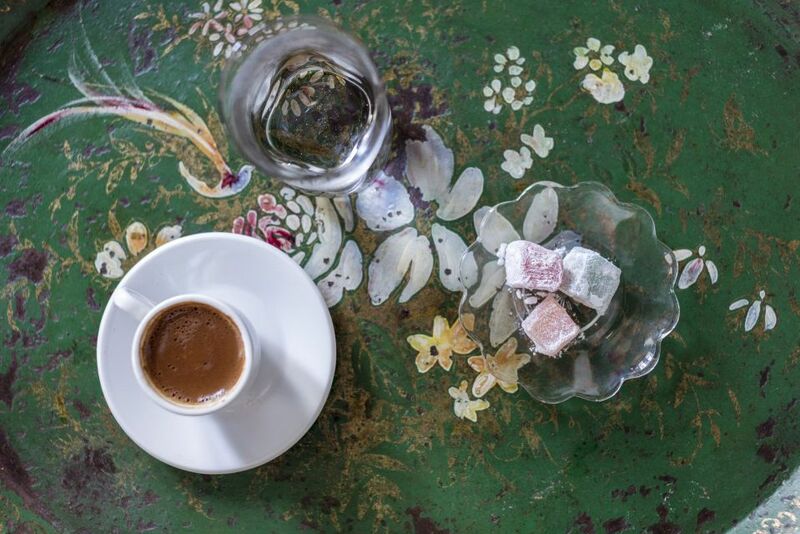 We buy only the freshest and choicest to show our respect to Tinos’ culinary tradition and local society. At our hotel, once at your accommodation, you’ll find a complimentary breakfast basket waiting for you. It contains tea and four kinds of coffee. It also contains a collectible tin container filled with Papadopoulou butter cookies, those delicious treats we grew up with in Greece. 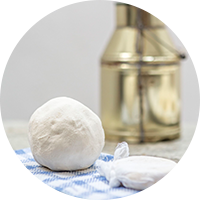 We made our choice based on our vivid childhood memories of those melt-in-the-mouth cookies, their all-natural ingredients and careful preparation, and the elegant packaging Papadopoulou S.A. makes them available in. The staff of our hotel is too aware of the need to have your accommodation maintained in perfect cleanliness. 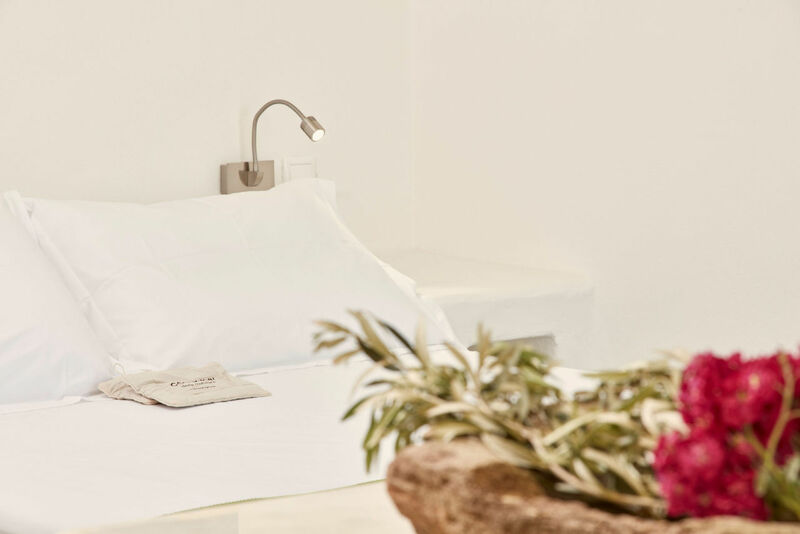 This urge exerts every effort to serve the principles behind our philosophy on operation, so that you may feel "at home" in our Cycladic village, at Tinos Island. Village residents are overjoyed to sense that our guests are near them, to feel that the buildings that had been abandoned for so long vibrate with life and movement again. From the bottom of their hearts, they wish you the "best of stays".